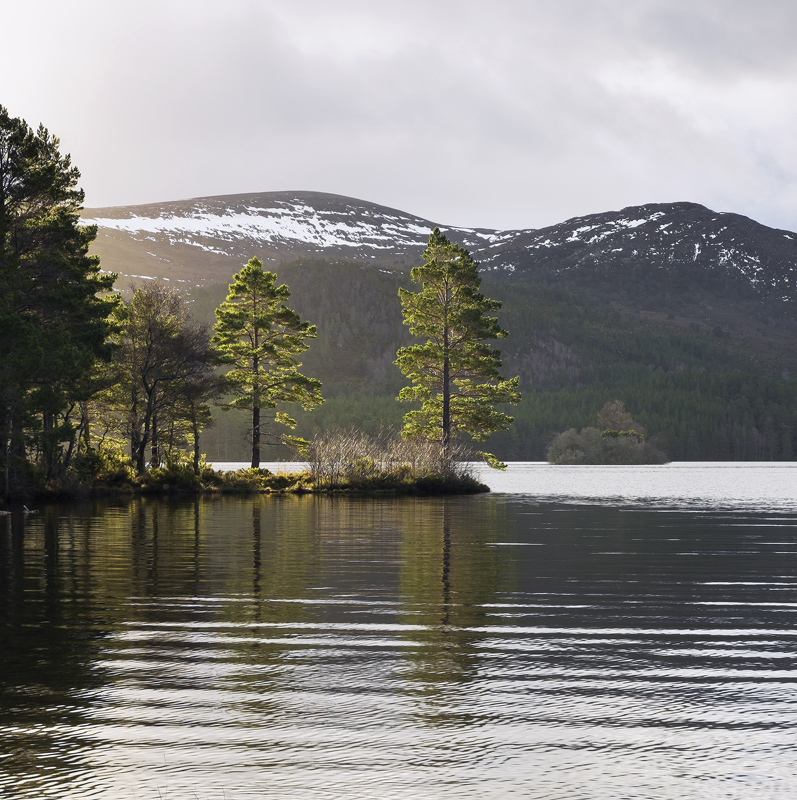 This classic location at Lochan Eilean exploits the two scots pine trees at the end of a slice of land that juts out into the water. Timing is everything at this location as you need to avoid the direct light of a rising winter sun yet make full use of the backlighting it generates upon the foliage of the trees. You also need a dark brooding sky to modify the contrast to acceptable levels. Finally the position needs to be just right to separate the two pines as well as possible from the other trees, keep them within the envelope of the snow capped hills and separate the island castle to the right of the trees.